Microsoft Updates the Surface Book 2 with 8th-gen Intel Processors, No Foolin. Microsoft just gave its Surface Book 2 laptop hybrid a refresh. Over the weekend, the company quietly added a new mid-range configuration option. 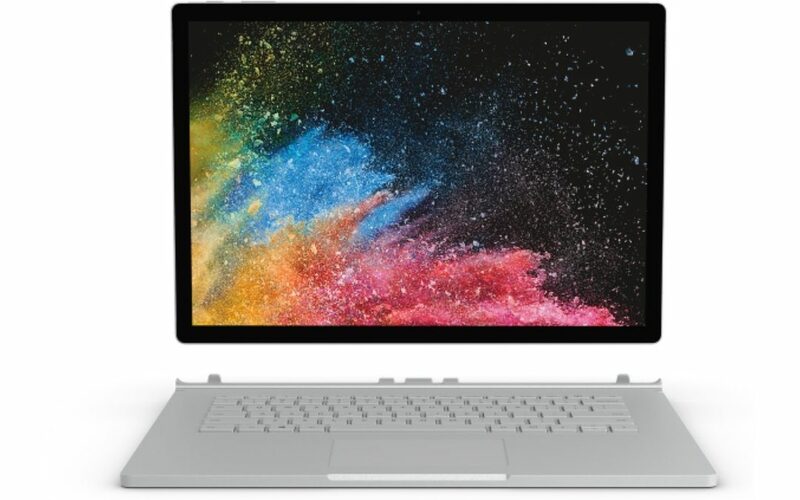 The updated model of the 13.5-inch Surface Book 2 includes an Intel 8th-generation quad-core i5 processor, which features a base clock speed of 1.7 GHz and Turbo Boost frequency of up to 3.6 GHz. This updated configuration is listed at $1,499. Aside from the processor, not much has changed. The refreshed model will be available in a single configuration that includes 8GB RAM and 256GB storage. The previous model of the laptop with 7th-generation dual-core processors will remain available starting at $1,149, though it features customizable RAM and storage options that can bring the price up to $2,999 when maxed out. Microsoft’s Surface Book 2 has been well-reviewed, and the update should add some longevity to the lifespan of the current model. The company has a Surface event planned for April 17th and while there isn’t any word on a redesigned Surface Book, Microsoft is expected to say more about the forthcoming Surface Hub 2.